emmatree: advent evening, day 14. last night. 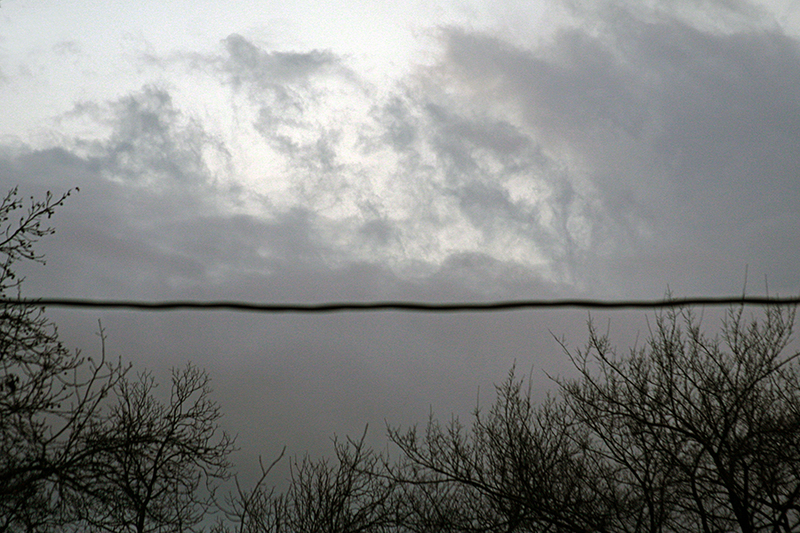 and liked the way the power line hung across the sky, forming a new horizon. i walked just within our block, stopped and talked to a neighbor until the raindrops scurried us inside. the neighbors across the street plugged in their christmas lights, the sweetest single strands around windows, pastels and the warmest of whites all golden and peaceful, like a perfectly dressed woman who's removed that one necklace or ring that said too loud, too much. i sat on the couch, door open, rain drizzling across the leaves on the ground, the sound of wind blowing past, rustling limbs, skipping those leaves like stones across a still lake. i exhaled, drinking in the peace of those lights and the night. it felt like christmas eve. floating slowly across the calm part of the sky. I could feel my breathing slow and change just reading this. Thanks for spreading some 'calm'. So calm and beautiful - and in contrast - I see surfers in the clouds - just as the wave is about to crash over them!